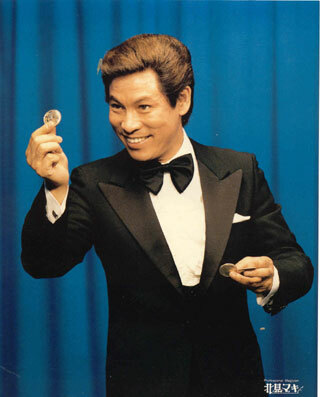 The AP reports today that a group of forty-nine Japanese magicians have sued two broadcasting networks for allegedly revealing the secrets of various coin tricks in programs that aired last year. In a press conference, magician/plaintiff Shintaro Fujiyama told reporters that the shows had "instantly deprived professional magicians of their assets," presumably leaving behind only a flash and a ball of smoke in the place where the assets once were. Questioned about the particular tricks involved, the wily Fujiyama refused to give any further details. The plaintiffs claim to have lost closely guarded secrets comprised in part of professional skills and concepts built up through the accumulation of ideas and long-term practice. (I assume they don’t mean the closely guarded secrets you can find on GoodTricks.net.) It may be a sad commentary on the state of the Japanese magicians’ guild that the forty-nine plaintiffs are seeking a total of $16,000 for the destruction of their life’s work, or about $326.53 each.